Sorry this has taken so long, being concussed has left me spacey and sleepy. Okay, where to start…we were walking back, and stopped at another site, one where a dirt trail led up the hills to where DA equipment was sitting. Once again, it was time to still camera and video. The Chief spoke, and explained that the women elders were going to open the gate, and the warriors (on horseback), were going to run up to the equipment and make sure no one was still chained to them, so they wouldn’t be arrested when DA came to remove their equipment. The warriors got back, and all was well. There was prayer, and then everyone chose their particular place to scatter the tobacco they carried. Afterwards, everyone settled in on the surrounding land. There was an open time for anyone to speak, if they wished to do so, and many did. A young woman from Ecuador spoke eloquently, and often with a quaver of great emotion (3rd photo). She spoke of struggles of indigenous peoples in her home, and while they weren’t yet as bad as what is happening elsewhere, they are heading that way. She spoke of how deeply she was touched by what was happening at Standing Rock, and how important it was, that she felt compelled to travel here. We heard more about the U.S. declaration of bankruptcy in 1933. Representatives of tribes from all over spoke, talking of conditions in their particular areas and the fights they faced, how their water was being stolen* and the loss of their long time sustenance foods, such as salmon, due to dams. They spoke of generational language loss due to colonialism, and the struggle to make their languages flourish once again. *Water is being stolen at a high rate from California tribes, rivers are being dammed and diverted to support large cities. A young woman introduced herself and sang a prayer. Then a man who lives on indigenous land in Australia spoke (9th photo). I never once saw him out of that gear, he was one of the more memorable people in the camp. One of the most photographed, too. He spoke poignantly of the fight Indigenous Australians faced, and that he wanted to raise awareness everywhere, because much like water, these pipelines are also connected, and endangering water and life everywhere. Where water is life, the oil is death, and we need to break our dependence before it’s too late. A young Na:tinixwe man (Hupa) spoke with overwhelming emotion of the stolen water and traditional sustenances of his people. He spoke of a time after their river (Klamath) had been dammed, young children dragged hoses from their houses to the river, trying to fill it up again. There is not a child anywhere on this earth that should feel such sadness and loss. He too spoke of language loss. He also spoke out to all the men, telling them that if they had adopted European ways of relationships, to abandon them, to be true to their own tradition, which values women and in which, it’s women who have the most important voices, as they are the dreamers, the weavers, the givers of life, the planners, the teachers, so it’s the women who must be listened to, always. As he spoke, tears often ran down his face. As an aside to his message, when we were at the first site, one of the elders who spoke was an Anishinaabeg woman. She started to speak, then mentioned how she wasn’t liked by her council because she talked too much, and the crowd of people broke out in loud, raucous cheers. In Indigenous cultures, there’s a great love of women who talk too much, who won’t be silenced, because their contributions are always needed, even if someone doesn’t want to hear what they have to say. An elder from a newly arrived delegation from Maine spoke (11th photo), and he spoke a bit about dirt. He reached down, and scooped up a handful of dirt. He said it was a shame that in English there’s just the word dirt, which is used in negative ways, to express disgust. He let the dirt sprinkle softly down, then reached and scooped up some more, as he explained that they taught their children that when you pick up a handful of dirt, you are holding a handful of the molecules of your ancestors. That the earth, the dirt is rich in history, and it nourishes all life. It’s yet another reminder to be mindful. To be aware. To have respect. The folks from Maine also brought a truckload of moose meat. Eventually, it was time to go back home. We enjoyed the walk, taking in all the land, stopping for a slight rest, then finally making it back into camp, where not much later, I was brained by the tent frame. :D Perhaps I should have stayed on the road longer. Indigenous people are everywhere in the world. If you are near indigenous people, be aware of their struggles, and ask if you can help. Ask more people to be awake and help. Join those people, be aware that their struggles are also yours. Join in with all the facebook NDNs (and twitter, blogs, and other social media), and spread the word – can’t stop the signal! Click for full size. © C. Ford, all rights reserved. Such beautiful countryside. What’s the large mound in picture #16? Glad you’re OK! And, hey, getting it concussed is proof you’ve got a brain! The sweatshirt flag is awesome. Just a hill, as far as I know. This is hilly country, unlike the picture most people get in their heads when they think of the Dakotas. That one was fairly far off, but quite big. The fence was lined with people’s shirts from all over the place. I wish I could have taken photos of each one, there were hundreds of them. Cane, thank you for your reporting. You’ve given me a lot to think about, and hope for the future. Some good news: US Court temporarily halts pipeline construction around Lake Oahe. A three-judge panel of the U.S. Court of Appeals for the District of Columbia Circuit said in a ruling late Friday that it needs more time to consider the Standing Rock Sioux Tribe’s request for an emergency injunction. It said it will issue another order setting a date for oral arguments on the motion. The order “should not be construed in any way as a ruling on the merits of that motion,” the panel said. Republican Rep. Kevin Cramer, North Dakota’s lone member of the U.S. House, called the special permit a good compromise. Nerd, thanks, just got that posted a few moments ago. An elder from a newly arrived delegation from Maine spoke (11th photo), and he spoke a bit about dirt. He reached down, and scooped up a handful of dirt. He said it was a shame that in English there’s just the word dirt, which is used in negative ways, to express disgust. German has “Erde”, which is earth, both in the sense of the planet as well as brown stuff that covers the ground, but it doesn’t seem like we’Re treating it much better. In Finnish Maa is the Earth and maa can be either soil/dirt (of any kind, sand, rubble. loam,) or land/country (as in Saksa/Germany or Suomi/Finland), with very little negative connotation. Multa or ruokamulta (food multa) would be the brown stuff on the top of the soil where grain, hay, vegetables and potatoes grow. I’ve at a loss on what word to use for “multa” in English at times. Still, as with Germans, we haven’t been that good with our maa either (metal leaks from the Talvivaara nickel mining fuckuppery recently, in the past chlorinated phenols from sawmills, oil and other toxins every now and then). Judging by the bee-and-flower picture the representatives of beekind seem to be out and about. I also saw one who had ventured out of the nest in Tarja Halonen Park in Helsinki today. I think the the bees may be among the last out and about this year? Thank you for summarizing the speeches and taking the photos. I really appreciate it. And your exhortation got me checking if anything has happened in Saame lands (Some gold miner has made the water in river Lemmenjoki so turbid that it may stop fish from mating/laying eggs, also a new amendment to mining legistlation makes it more difficult to issue complaints about small-scale gold mining.). I’ve also been guilty of thinking that North Dakota is a flat and treeless plain except for river banks. The 7th and 17th pictures caught my eye. For that particular stuff we have the wonderful word “Mutterboden”: mother soil. I’ve at a loss on what word to use for “multa” in English at times. I would call it “humus” or “topsoil”. Not very poetic! What a wondrous word that is. I’ll adopt it. Thank you. Thank you Caine for all your reporting, and the wonderful photos. I am a bit homesick for the rolling prairie and the big skies. 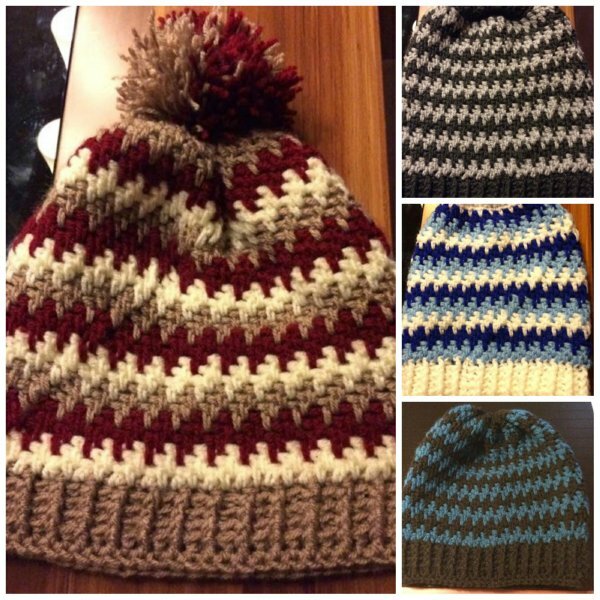 I want to contribute, would a bunch of hats and scarves be of use? I am trying to come up with a design/colors that would incorporate some native symbolism, but am at a loss as to what would be appropriate without becoming appropriation. Oh yes, hats and scarves would be most welcome, I’m sure! You can’t go wrong with red, yellow, black, blue and white. There are so many different tribes there now, I wouldn’t know what to suggest design wise -- I’d probably just go with something very simple, a star, perhaps? The Lakota star is 8 pointed, and there are numerous design patterns for those everywhere. Loam or mulch is melnzeme (“black earth”, where zeme is earth, land, dirt) in Latvian, but I really like the term “motherloam”. I love these photos, I love the countryside, all the people -- I know it’s one of those ‘shouldn’t be a new thing’ things, Caine, but it’s been extremely interesting and gratifying to see all the traditional-wear in actual, real-life contexts, where they actually belong. Thank you for that, thank you for continuing to share and educate; I am grateful for your patience in doing so and your continued willingness to do so. Thank you. The Lakota star is 8 pointed, and there are numerous design patterns for those everywhere. I have a pattern that naturally forms a 6 pointed star. I will experiment with gauge and some sock yarn to see if it can be altered into an 8 point, and still be the size of a human head. The Lakota star is reminiscent of the patterns in woolen mittens my late grandmas knitted. Google picture search “kirjokintaat” gives some hits to 8-pointed shapes in mittens. However I have next to no idea how to get instructions/patterns for them. 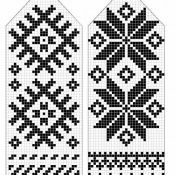 Here’s a couple of Latvian patterns, one of which has the 8-pointed star. Knitting is a skill I do not possess, but I do have a somewhat ridiculous crochet pattern and yarn stash. I will never live long enough to make all the things. I might do a few in fancy tapestry colorwork like the mochila bags, but it is very time-consuming compared to a basic ribbed winter hat. 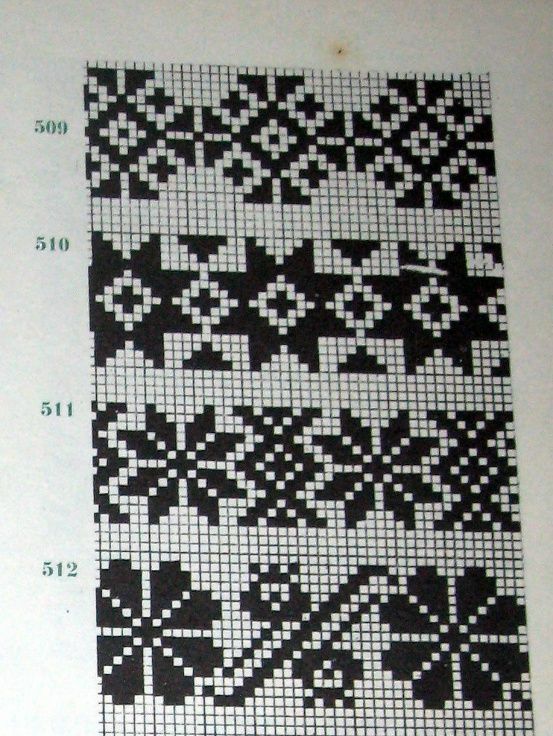 rq, those are lovely fair-isle knit patterns. thank you. I really want to learn to knit specifically to make fair isle sweaters. They’re actually Latvian. :D There’s so much commonality in knit patterns across Europe, though. It’s pretty incredible. True. Ice Swimmer linked me to a star pattern common in their culture which is just like the Lakota star, too. There really doesn’t need to be a design though, just cool blends of colours would be great. 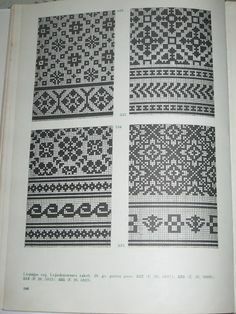 Fair-isle is the name of that knitting technique , but yes, very similar knit and woven geometric motifs are found worldwide. The forms you can make are dictated by the techniques. 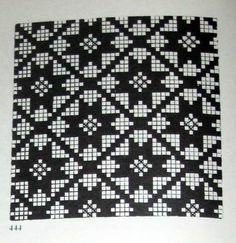 The nordic star is a very common motif and is very similar to the Dakota star. Tapestry techniques in crochet works over the unused color stands, and yield a heavy fabric that doesn’t stretch. It’s good for bags, rugs, or baskets, but not really suitable for clothing. I am quite inspired by the purple snood/ cowl that the woman is wearing in photo #3. (the colors in the other womens skirt are gorgeous too) It looks very warm, and I find it very aesthetically pleasing and practical for windy North Dakota. My favorite combination. I am quite inspired by the purple snood/ cowl that the woman is wearing in photo #3. She looks stunning in that shade of purple with the blue sky and her apricot jacket. I am struck with how vibrant all the colors are. The prairie even looks extra bright green because of all the rain. I am going to have fun experimenting with color combos for this hat. That’s beautiful! I think you could do amazing colour work with it, too. Tethys, that’s a great looking hat, I’d love to get the pattern. Caine, will the children be there for the winter? It would be fun to make some kid’s hats if they would be useful. Oh yes, there are always children! :D And like most kids, will probably need a number of hats to go through. Hats, and mittens. Make duplicates! Because it’s always one mitten that gets lost (the left one, for me).